This is a perfect choice for your outdoor wedding. Made of plastic, there is no worries if it starts to rain! 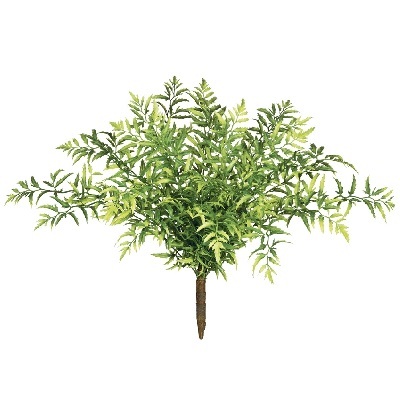 The wispy fronds of this artificial plant look fresh and lush and would make a beautiful addition at the base of artificial trees, in artificial arrangements, or used as fillers where you need a little green.